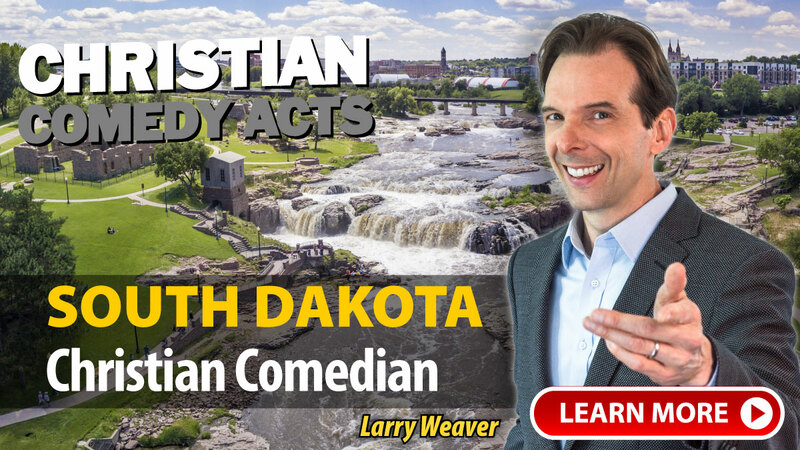 Christian Comedy Acts helps you find local Christian comedians, Christian speakers, Christian magicians, Christian ventriloquists, and top clean comedians in the South Dakota area. Find Christian entertainment for your church fundraiser, banquet, outreach or ministry event today. "Lyndy was unbelievable. I have all ready recommended him to two other organizations. We could not have been happier. Thank You!" "Thank you so much to David Ferrell for providing great entertainment for our event. We were very pleased and had great feedback! I look forward to working with you again in the future!" "We had such a great event with John Felts. We spoke prior to his arrival and the morning of our event. He arrived early and was very professional and personable. His material was so relevant to our community and church. He covered a variety of subjects which all brought laughter from a wide age range. This was our church's first experience with a comedian. One of our pastors was a bit hesitant but shortly after John's performance he talked about having John back. I cannot say enough good things about John. He stayed a while afterwards and visited with several people. They really enjoyed him. Thank you so much for suggesting John. He was a hit. We will definitely recommend you both." A few of the towns these nationally-touring Christian Comedians have performed in include: Aberdeen, Brookings, Clear Lake, De Smet, Deadwood, Flandreau, Herreid, McIntosh, Milbank, Mitchell, Sioux Falls, Watertown, SD and others.